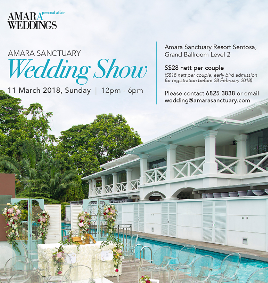 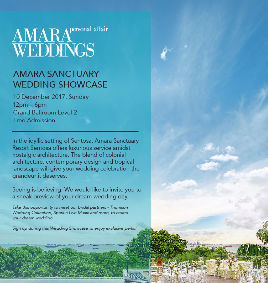 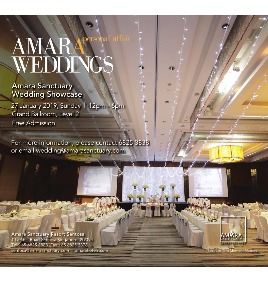 Amara Sanctuary Resort Sentosa, 10 year anniversary Wedding Show will feature exquisite gowns from Thomson Wedding Collection, an epicurean 6-course food sampling menu and a chance to walk away with exciting lucky draw prizes. 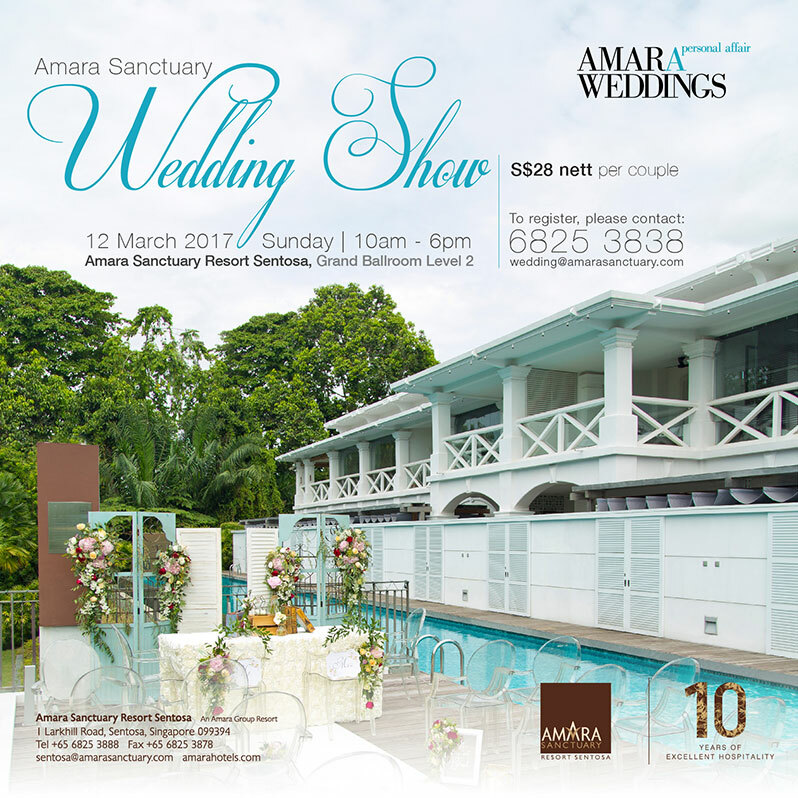 Celebrating a decade of orchestrating dream weddings, choosing from 10 unique solemnization locations and 10 exclusive perks when you sign up during the show. 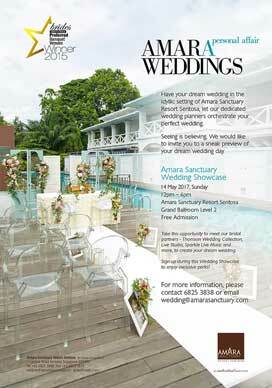 To register, please click here for the registration form and return the duly filled form to wedding@amarasanctuary.com. 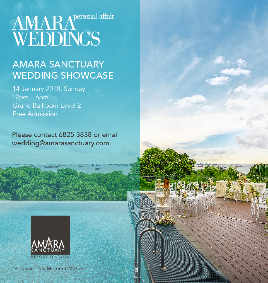 Come down to Amara Sanctuary Resort Sentosa's wedding showcase on 14 May 2017, Sunday, and let their dedicated wedding planners plan you the perfect wedding. 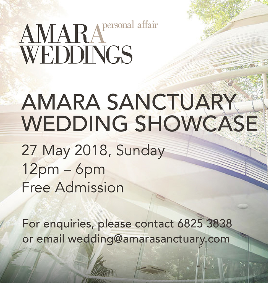 Take the opportunity to meet their bridal partners including Thomson Wedding Collection, Live Studio and Sparkle Live Music and enjoy exclusive perks when you sign up during wedding showcase. 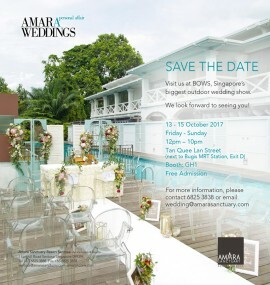 Admission is complimentary, so RSVP now!